School made us aware of the scarce and limited nature of time. For example, how many times did you beat the time in your math exams? Time is one monster you fight every day of your life but never succeed in defeating. You know as well as I do that time is short. How do you make use of the little time you have? How do you squeeze the life out of all the 24 hours in all the days in 2019? As you try to achieve great fits and crush your goals this year, you need mastery of certain skills. Picture these skills as the arrows in your quiver, as your push through the woods of 2019. 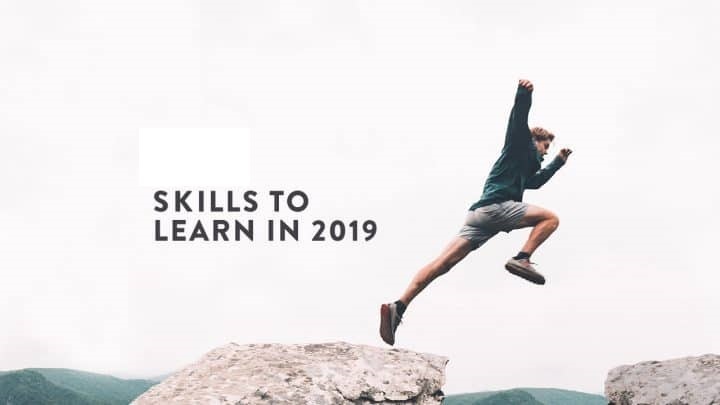 Here is a list of skills that you must have if you must thrive in 2019. These are personal and human skills that applies to you no matter your industry or line of work. Communication: Effective communication is important in selling yourself and building useful relationship. Critical thinking: with the sea of information now at your disposal comes the need to make sense of them and make fast decisions. Personal branding: The gig revolution is here. This movement is making how people see you a crucial element to your success. The question is more of what you can offer, what you have done, than what you studied in the university. Coordinating with others: Collaboration is the new thing. Billion-dollar companies have been built on promoting this. How solid are your people skills? Emotional intelligence: How is your mood? Is it controlled by what others say or think about you. How do you handle criticism and hate? Failure Management: Truth is you’ll fail at more things than you’ll succeed at them (that’s if you are the kind that tries things). How do you manage failure? Do you sit on your tails and lament your loss or dust your shoes and follow the cheese wherever they go? Digital literacy: Want to learn new things this year? Start learning to harness technology and all it provides. Sign up for courses, download materials, listen to podcast and make YouTube your new home. Open mindedness: Alvin Toffler said, “The illiterate of the 21st century will not be those who cannot read and write, but those who cannot learn, unlearn and relearn. Do you have an open mind? This is the time to open the doors to your mind and lose the keys to the wind. It’s another year before you. Truth is if time does what it knows how to do best, then it will not wait for you. In no time you’ll be reading this kind of post for 2020, and all the years to come. What will your business and life be like when you read my post for 2020? Make the best you can of the days ahead, it’s the best you can do. How to move up the corporate ladder quickly?